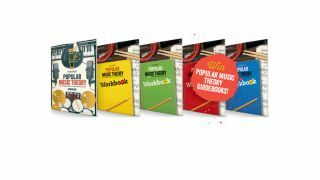 To celebrate the launch of Rockschool Popular Music Theory, we're giving away 10 free copies of the supporting Guidebooks. Both Guidebooks (Grades Debut - 8) from Rockschool Popular Music Theory are hand-crafted study guides for you to use alongside your Popular Music Theory Workbooks, at home or with your teacher. Beautifully laid out in full-colour, you'll have everything you need to start learning music theory - quickly and easily. To stand a chance of winning simply send an email with the subject header Rockschool to rhythm@futurenet.com. Competition closes 30 May 2015.